More starlight for your pleasure. 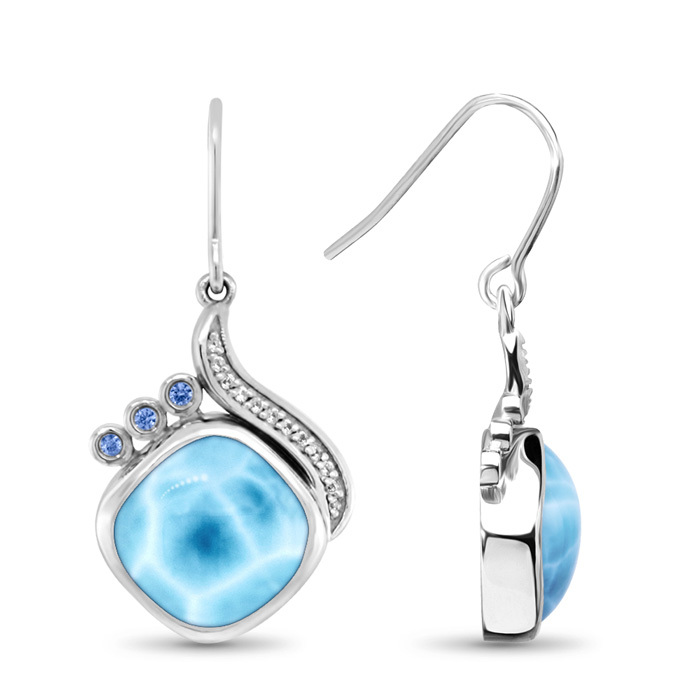 Curves of silver laden with sapphires set alongside three sparkling blue spinel drape over a curved dome of brilliant larimar stone. You’ll have everyone’s ear! 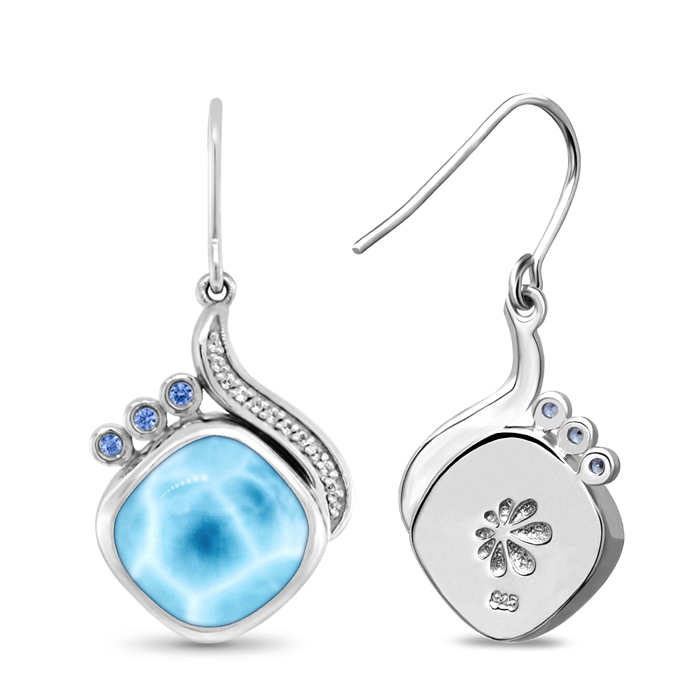 Product Details: Two 12mm larimar gemstones with white sapphire, blue spinel, and sterling silver.